Jee Len De Lyrics – RAW: Mohit Chauhan has sung this song which is from the movie Romeo Akbar Walter (RAW) starring John Abraham & Mouni Roy. It is composed by Raaj Aashoo and written by Murali Agarwal & Shabbir Ahmed. 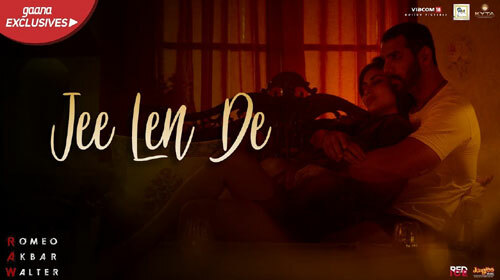 If you find any mistake in lyrics of JEE LEN DE LYRICS – RAW | Mohit Chauhan song please let us know in comments.